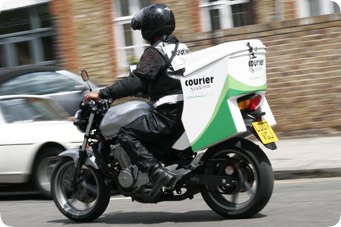 Since 2001, Courier Systems has been pioneering a more environmentally friendly approach within the courier industry. We began by introducing alternatively fuelled vehicles before the technology matured in the UK, and since then we have adopted many steps such as a full recycling scheme, making all deliveries carbon neutral and integrated quality and environmental management systems (ISO 9001 & 14001). In 2009 Courier Sysytems was presented with a platinum award from the Mayor of London as part of the Green 500 Program.